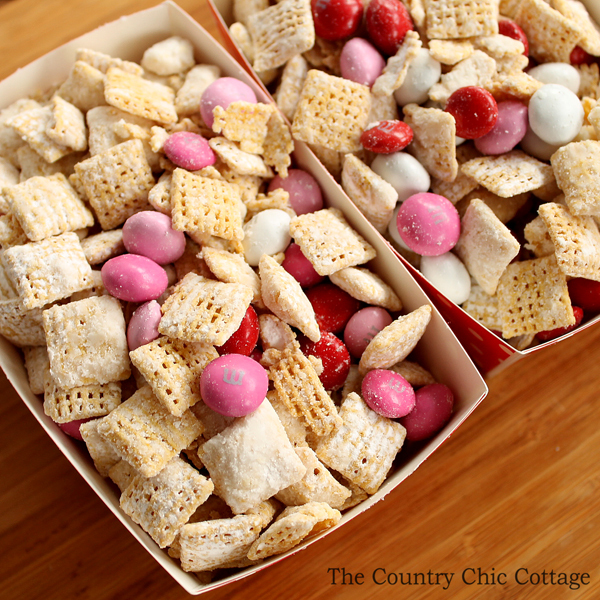 This Valentine’s Day muddy buddies recipe is the perfect way to celebrate the holiday! It is perfect for around your home or to make a big batch and send to school with the little ones. Read on below to make your own. If you have missed any of Craft Lightning this week, be sure to click over and see the crafts from day 1, day 2, and day 3. 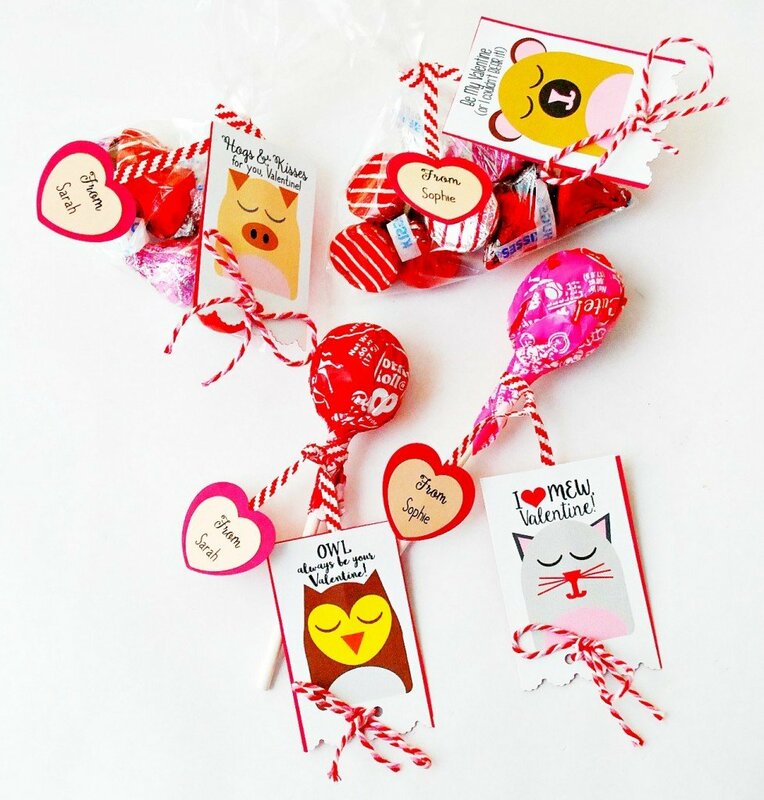 Then scroll to the bottom of this post for the quick and easy Valentine’s Day crafts from day 4! Into large bowl, measure cereal then set aside. In small microwaveable bowl, microwave chips and butter uncovered on High 1 minute. Stir then microwave about 30 seconds longer or until mixture can be stirred smooth. Stir in vanilla. Pour mixture over cereal, stirring until evenly coated. Pour into 2-gallon resealable food storage plastic bag. Add powdered sugar; seal bag. Shake until well-coated. Spread on waxed paper to cool. Add in M&Ms and stir. Store in airtight container. This recipe can be altered for any holiday just by changing the color of the M&Ms. 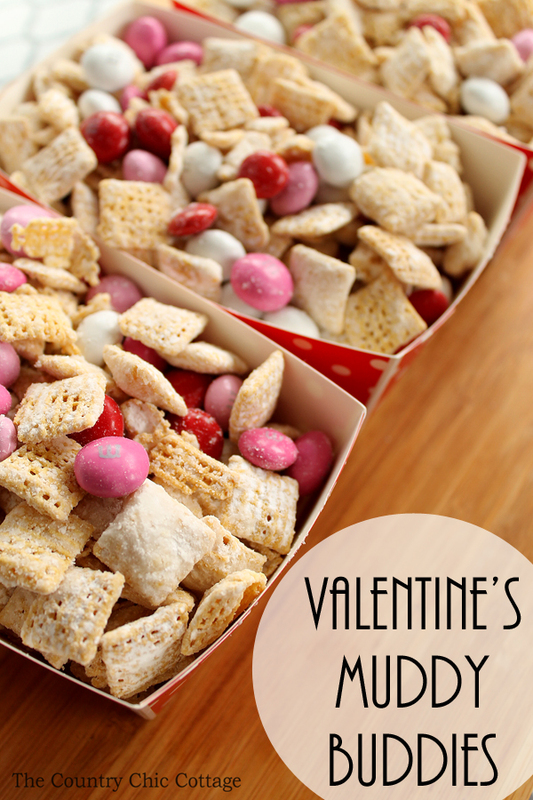 You and the kids will love this Valentine’s Day muddy buddies recipe! 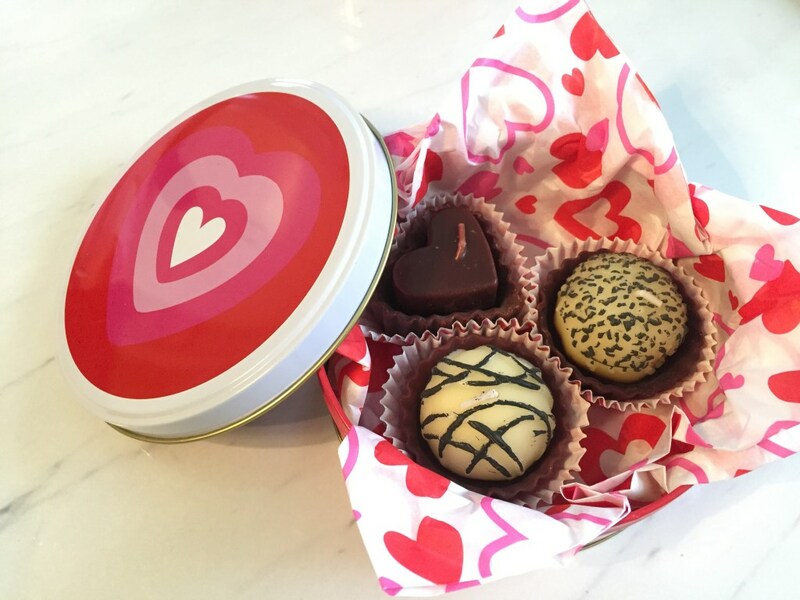 Package it up in small containers like these red polka dot ones for easy giving or just eat at home by the handful. Either way this one is sure to be a hit! 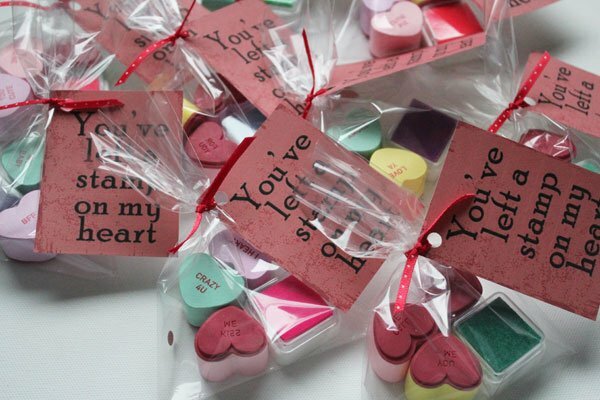 Now it is time to see what quick Valentine’s Day crafts our blog partners have in store for us today! First up are these great Valentine’s Day cards that are perfect for teens from Jennifer Gallacher. 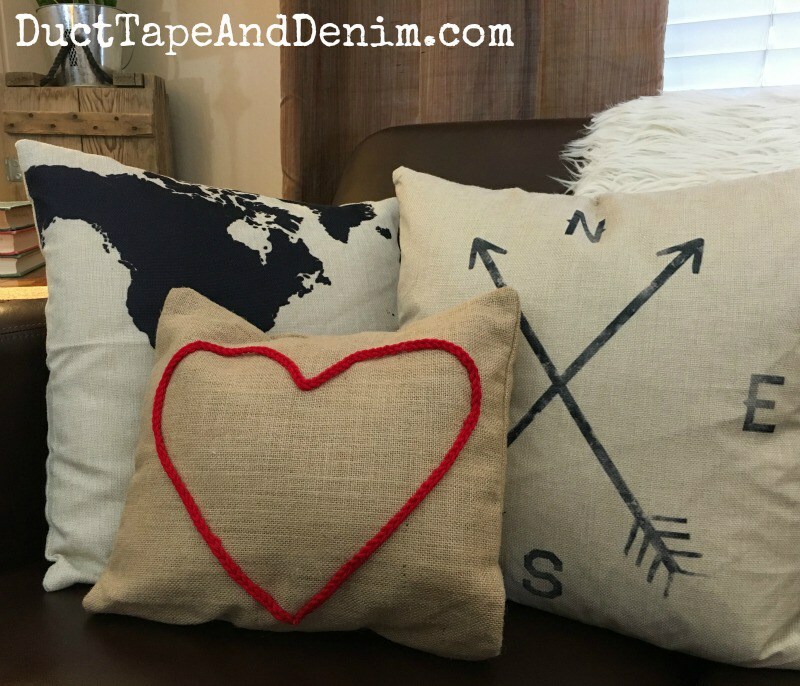 Next is a fun Valentine’s Day themed pillow from Duct Tape and Denim. 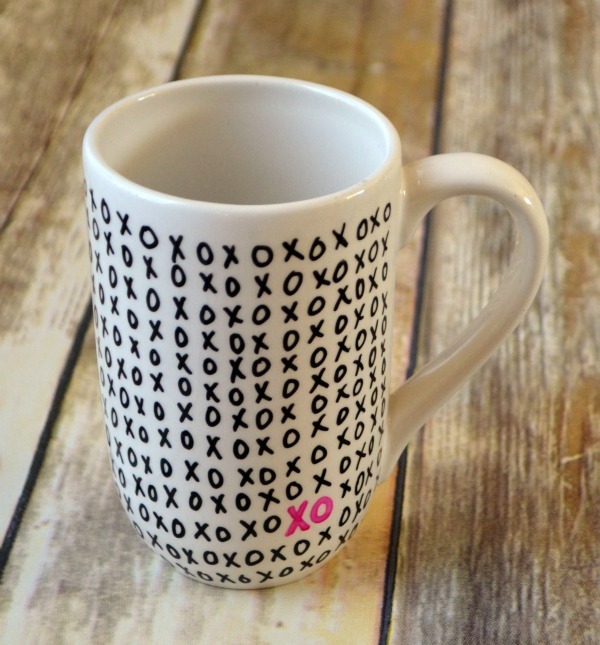 One Artsy Mama has a great tutorial for a Valentine’s Day themed mug. 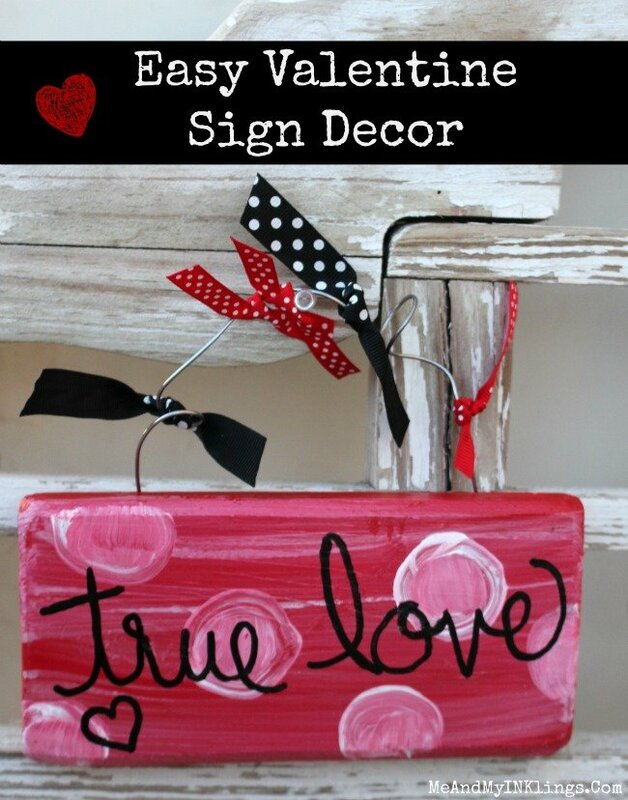 Me and My Inklings shares how to make this easy Valentine sign decor. This Valentine’s Day card from Simply Kelly Designs is just too cute! 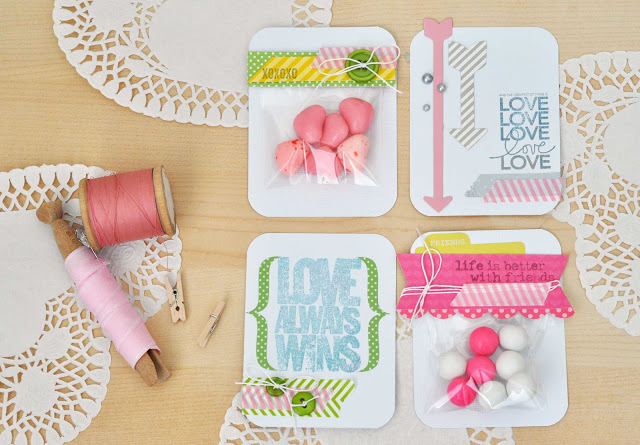 I love the idea of these twist tie Valentines from Silly Pearl! Up next is Mrs. Greene with a fun Valentine tin filled with chocolate candles! 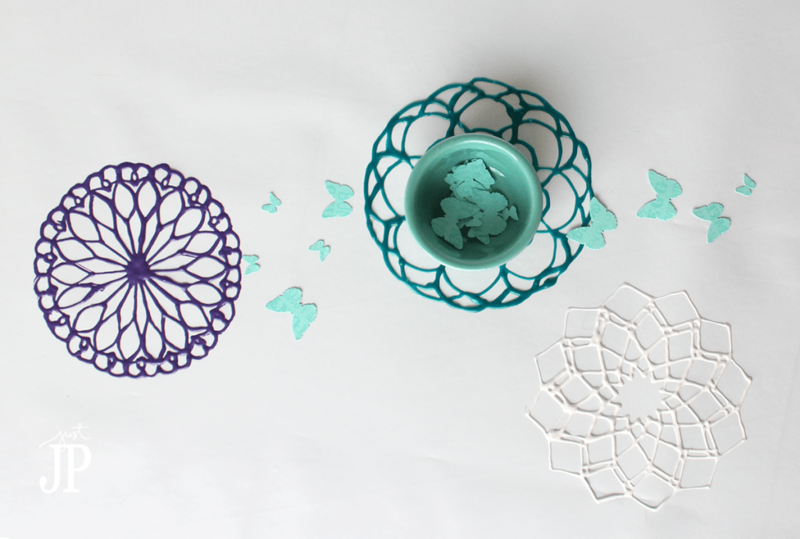 Finally we have Jennifer Priest who used puffy paint on some coloring pages to create some great doilies! My co-host for this series is 30 Minute crafts and she is at it with the punny Valentines again! 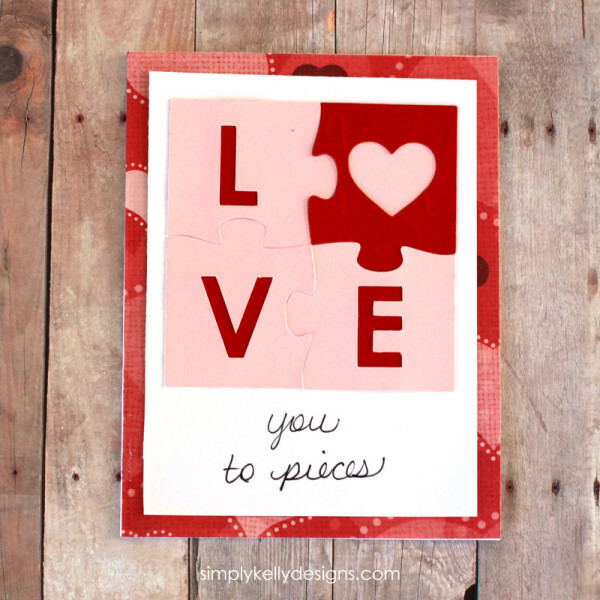 Check out this stamped themed Valentine idea. Our guest co-host this round is 100 Directions! 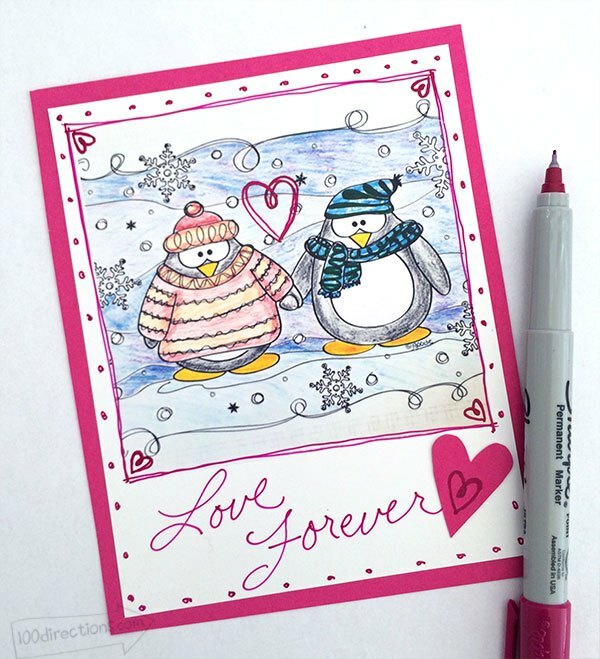 I love Jen’s penguins so seeing them on a Valentine’s Day card makes me smile! Do you want even more quick and easy crafts? Be sure to follow along with our quick and easy crafts Pinterest board! 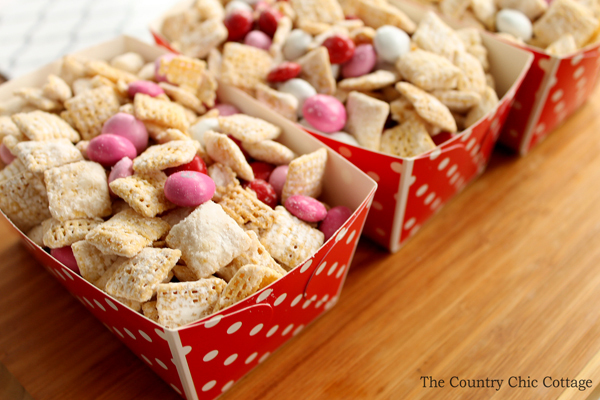 Then give our Valentine’s Day muddy buddies recipe and try plus these other quick Valentine’s Day crafts! What a fun idea. Looks fabulously yummy! I love this! Muddy Buddies are always fun to make. Thank you for sharing them at the #SmallVictoriesSundayLinkup! I love making these fun recipes w the boys – thanks for sharing, found you at Share It One More Time!